Just like in adults, stress can manifest itself in children in the form of anxiety disorders. Kids can suffer from conditions like Obsessive-Compulsive Disorder (OCD), generalized anxiety disorder (GAD), and more. OCD has the potential to become very serious if left untreated, so it is best to recognize the signs of anxiety as soon as possible and address them. 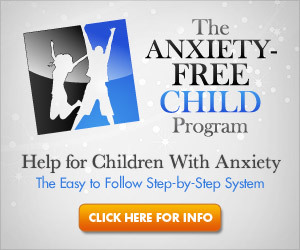 As a parent, you can help your child to deal with anxiety and stress in an appropriate way. An article from a student of social work covers some interesting and effective methods parents can use to discuss anxiety and stress with their kids. This can help parents to better understand how their children are feeling and what stress management techniques will work best for them. The writer also mentions the necessity of communicating with the people who work at the child’s school. They may notice signs and tendencies that the parent does not see because of differences in at-home and at-school behavior. Consulting an expert can be very helpful for some parents who are unsure of how to handle their child’s anxiety. Sometimes the problem is serious enough that a professional is needed. In other cases, it helps to prevent the issue from growing worse. It breaks my heart to think of my kids suffering from anxiety issues in the future, but I won’t be surprised if they do. After all, they’re mine and I certainly have my own issues. I’m trying to help myself now and hopefully if my kids do encounter anxiety problems, I’ll be better equipped to help them. If you recognize it and take steps to help them now, I think you’ll be doing them a great service that can follow them a long way into their lives. Good for you! I think people forget just how stressful being a kid can be. It is more stressful today than ever, thanks to the very real dangers our children face just going to school. How could any child hear of the horrific school shootings that are even taking place in elementary schools and not feel anxiety? I think it’s very natural for any parent to feel afraid when they hear of those sorts of tragedies, I know I do. But I also think the important thing to remember is that the reason we hear so much about those incidents is precisely because they are such an anomaly and uncommon, and our schools are generally a safe place for our kids to be. I think we as parents need to balance the real needs for improved security and prevention with not creating an environment of anxiety for our kids that makes the actual likelihood of danger seem far more probable than it is. One of my children was showing signs of anxiety last year in school. I tried to talk his teacher about it, to see if something in school was causing the anxious behavior. The teacher told me I was causing the anxiety by talking about possible anxiety. I could not get through to her that this was a real problem and that I needed her to work with me. It was extremely frustrating. I can imagine it would be! I wish more educators were familiar with childhood anxiety disorders and what may be needed to help the kids.